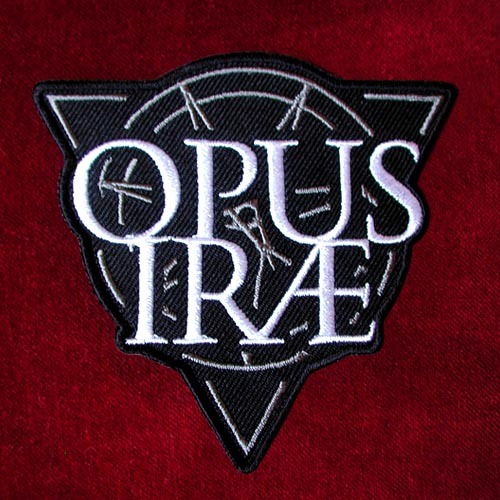 Embroidered OPUS IRAE Logo Patch. White and dark silver. High quality die cut embroidered patch, ready to use with iron on back.